As summer winds down, it’s time to start planning creative events for the school year. Whether you’re an educator, administrator, volunteer, or PTA-member, NY Party Works is your source for the best kid-friendly rentals in New York, New Jersey, Connecticut, Pennsylvania, and the surrounding areas. Our experienced staff is here to help you plan every last detail when it comes to renting equipment for your special event. 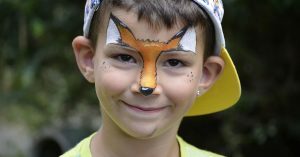 If you’re struggling to determine how to orchestrate a great event that all students, staff, and guests will enjoy… why not consider making it a theme day? Many schools choose a carnival theme for their event, and NY Party Works offers all the best rentals to contribute to the success of your event. Below are three of our most popular rentals for the carnival theme. At NY Party Works, we are known for our wide selection of interactive inflatables. Our party specialists will work with you to determine the best inflatable to rent for your number of expected guests, as well as the theme, general age range, space available, and location of your event. It’s suggested to use most of our inflatables outdoors, as they can take up a good amount of space. By placing an inflatable outdoors, you can also draw attention to your event and signal to the public that something fun is going on in the neighborhood. For older children, consider renting an obstacle course such as the Olympic Challenge, Adrenaline Rush or Race Car Obstacle Course. Kids will enjoy competing against their friends for the highest score, fastest time, or opportunity to win a prize. Our inflatables are a safe way to encourage children to be active while having fun. You can’t have a carnival-themed event without having a carnival booth! Our classic red and white carnival booths are the perfect touch to engage the guests at your school carnival-themed event with fun activities or fundraisers. Choose one of our classic carnival games, along with great prizes to challenge your students, or rent a cotton candy machine or popcorn machine from NY Party Works to offer them a tasty treat. Select a volunteer from your school or organization, or work with one of the stellar team members at NY Party Works. Don’t forget that NY Party Works can create custom prize packages to save you time and money! A carnival booth is a very versatile way to host a great activity for your special school event. Renting a Dunk Tank from NY Party Works is a surefire way to engage the guests of your school carnival-themed event. Request that some faculty members volunteer to get dunked. Use the dunk tank for pure fun and laughs, or charge per turn to fundraise for charity or another cause. Students love the opportunity to see their favorite teacher or school principal get dunked, and it’s a terrific way to encourage crowd participation. Of course, there are many more options when it comes to rentals from NY Party Works for your school carnival-themed event. If inflatables aren’t permitted at your school, why not try something different such as our trackless train or sports games? There is something for everyone to enjoy in our vast selection of rentals. The best way to determine which activities are appropriate for your event is by contacting one of our party specialists today.